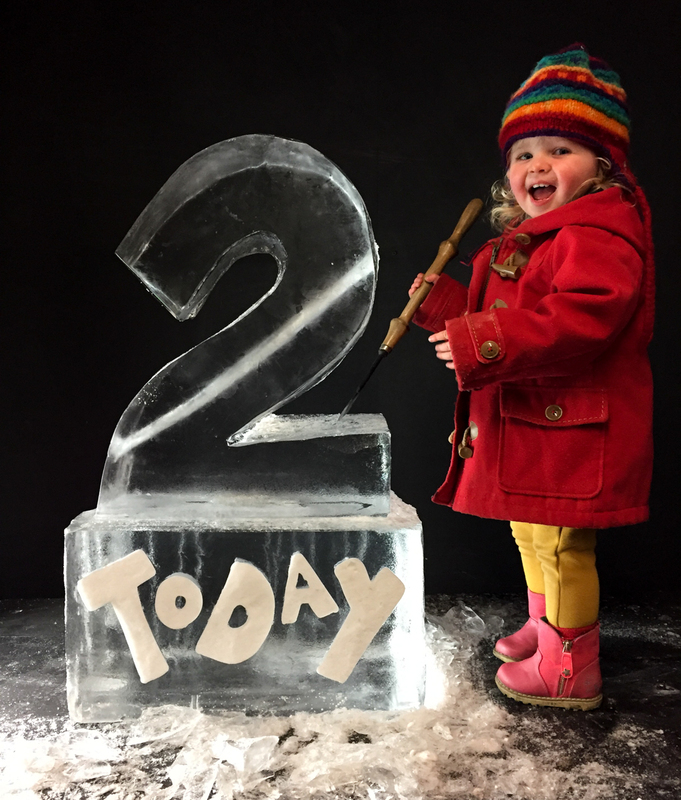 Yorkshire’s best ice sculptor turns two! Well as all parents say, where has the time gone? I can’t believe our baby is 2 years old! 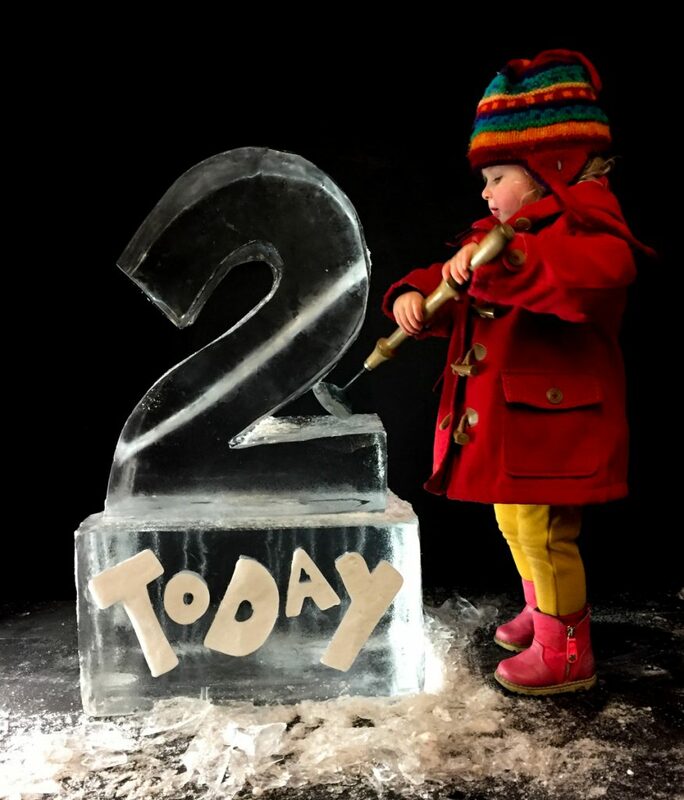 Today Florence turned two and as her mummy and daddy are ice sculptors, it seemed only correct that they featured in her winter birthday celebrations. 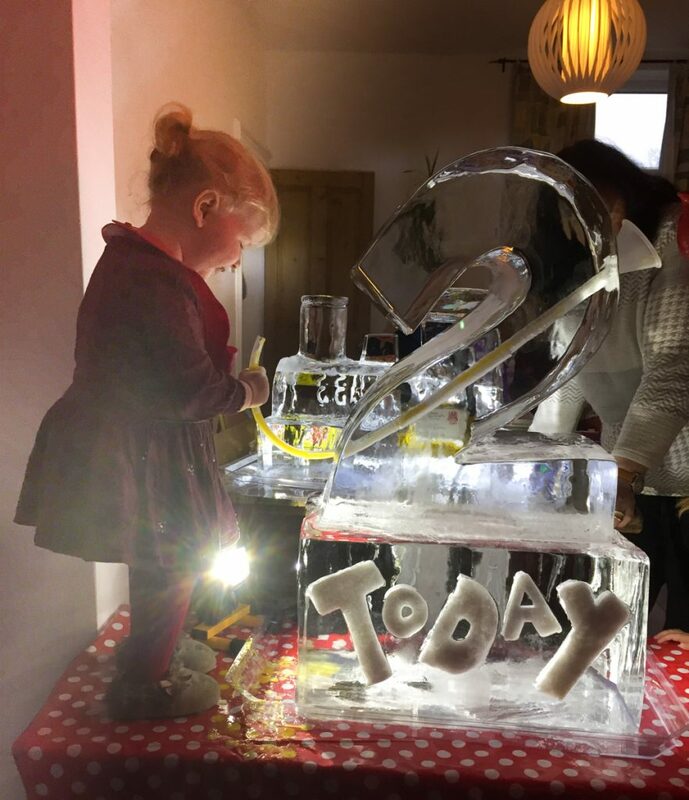 Claire got into the freezer and made a couple of ice sculptures for Florence’s Birthday. 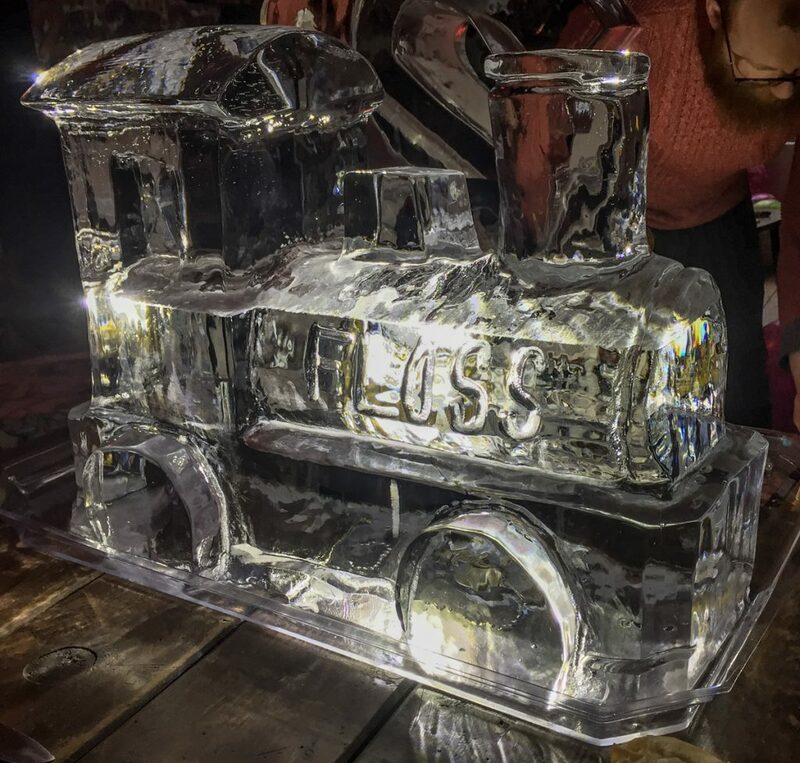 She first carved a 2 from ice and drilled a hole through to create and ice luge! Florence and her friends could all enjoy ice cold fruit juice at the party. She then made Florence a little train, as she loves to watch the trains go by in Hebden Bridge. 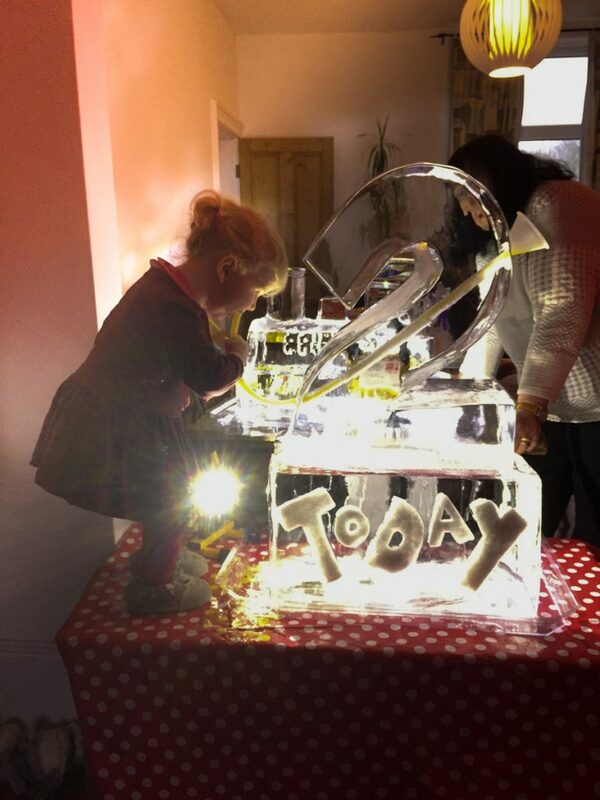 Birthday celebrations went well and Florence couldn’t get enough of her ice luge. Ice sculptures are very tactile so the other children loved to touch them and it was wonderful to watch it change as they melted throughout the day.